Uganda Cranes Captain/Striker (L) Geoffrey Massa has retired. 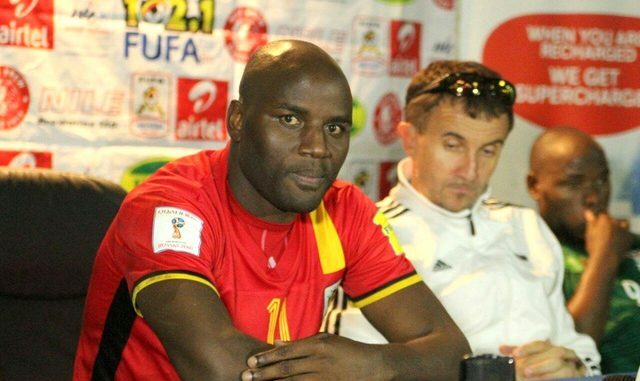 Uganda Cranes captain Geoffrey Massa has thrown in the towel and announced his retirement from the national team. 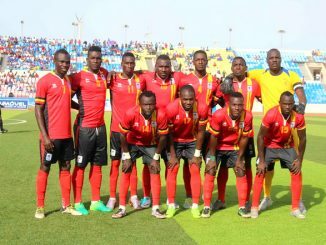 Massa who skippered Uganda Cranes at the 2017 Total Africa Cup of Nations (Afcon) said on Wednesday that he has enjoyed his 12 years featuring for the national team. “It is with immense pride that I announce my retirement from the national football team after representing the country for 12 years,” said Massa in his letter sent to the Uganda FA on Wednesday. Massa who said he intends to continue with his football playing career at club level is however club-less after South Africa Premier League side Baroka FC terminated his contract in January this year together with another Cranes player Khalid Aucho. The striker who has not enjoyed good form for club and country in the last six months also thanked the national team past coaches and current coach Milutin ‘Micho’ Sredojevic for having believed in him. “The experience of representing my country at the 2017 Afcon in Gabon was truly memorable, while the feeling after winning three Cecafa Challenge Cup titles and becoming the all-time Nations/World Cup qualifying top scorer with 14 goals was quite satisfying,” he added. He also added that he is proud to have played over 80 games for the national team and scored over 30 goals. 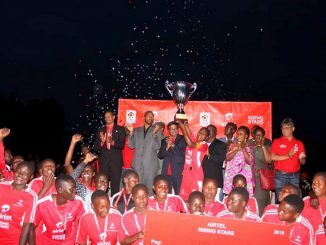 Massa started his started his club football with Police FC in the Uganda Premier League. He also played for Al-Masry, El Shams and Itesalat FC in Egypt, Yenicami Agdelen SK in Cyprus and Jomo Cosmos, Bloemfontein Celtics, University of Pretoria and Baroka FC. When contacted national team head coach Milutin ‘Micho’ Sredojevic said that he wishes Massa well in his next move. The Uganda FA said they will help Massa to develop a career of his choice in football which could be in administration, management and the technical aspect. 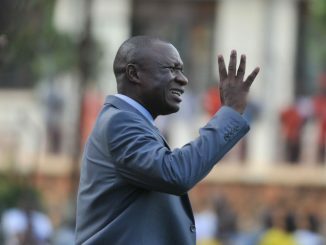 Former national team captain David Obua told this publication that Massa had done a lot for his country and will always be remembered for guiding the team to the 2017 Afcon.